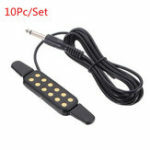 -12-hole magnetic acoustic guitar sound pickup is a good music attachment for amplifying your guitar sound. Easy installation and operation. 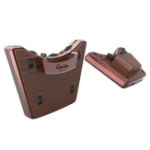 -Comes with an audio cable for connecting to guitar speaker. 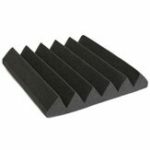 -It is perfect for most acoustic guitars.Padded clip guards against damaging to your guitar. 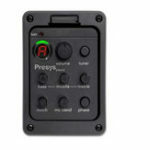 -The pickup produces a clean quality sound and has low feedback.Convenient to use, easy to handle. 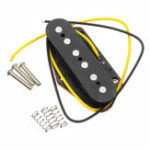 -Simply connect the cable to an amplifier or speaker to enhance the sound of your guitar. 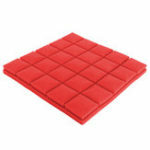 -Suitable for 38 inches to 41 inches acoustic guitar.